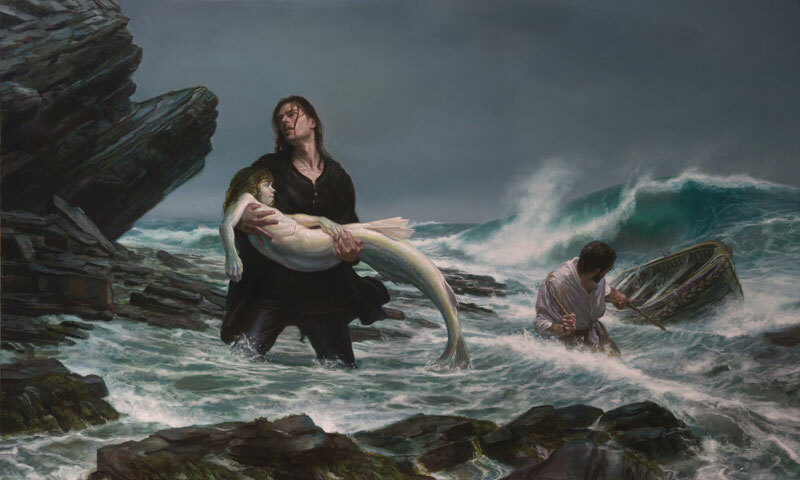 Zitat : Donato Giancola's Progeny draws us into the uncertain transition between water and earth, the uneasy place between our watery origins and our hard, unyielding future. The central figure is rescuing a young mermaid from the stormy sea while a secondary figure, Charon-like, hauls in a small boat. Is the man saving the child-beast or returning her to sea? She seems close to death. Where will they find haven on land, or is this a last goodbye?